The Pennsylvania Courts of Common Pleas, hearing both jury and nonjury proceedings, are the trial courts of general jurisdiction. The courts of common pleas were created pursuant to Article V, Section 5 of the Pennsylvania Constitution, which provides, “There shall be one court of common pleas for each judicial district (a) having such divisions and consisting of such number of judges as shall be provided by law, one of whom shall be the president judge; and (b) having unlimited original jurisdiction in all cases except as may otherwise be provided by law.” The courts of common pleas are responsible for a wide variety of cases, including all cases involving children and family matters, all major civil court cases such as personal injury, professional liability, and contract and property disputes, all criminal cases involving misdemeanors and felonies, appeals from the minor courts, and appeals not exclusively assigned to another court. The courts of common pleas are organized into 60 judicial districts. 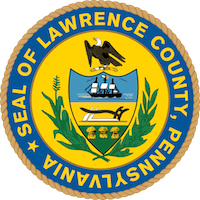 The County of Lawrence is the 53rd judicial district of the Unified Judicial System of Pennsylvania. The Lawrence County Court of Common Pleas is located within the Lawrence County Government Center in the County Seat, the City of New Castle, Pennsylvania.